You will also find bundles of neutrals (black, dk grey, lt grey, and white), Neons (pinks, blues, greens, and oranges), and Earth Tones (dk brown, lt brown, earthly blues, earthy greens, earthy burgundies, and earthy yellows). I am very excited about this new line and hope it will make it easier to put together projects using t shirt yarn. I am also announcing that I have taken on a second team leadership role. I have been a team leader for Upcyclers for a few months and absolutely love this group. They are mad geniuses at upcycling and the products they produce constantly amaze me. I am very committed to this team and have a deep affection for its members. That being said, I couldn't resist the invitation to become a leader for BellasBNS. They are a group of people addicted to BNS and BNR treasuries on Etsy. I will be helping get the social media set up, along with a blog, I will curate a BNR a couple of times a week, and I will hold a Weekend BNS Bash on the first weekend of every month. The Weekend BNS Bash is part of a contest for our members. They submit treasuries and judges choose a semi-finalist each week. At the end of the month, the finalists is chosen and they get their board used on the Weekend BNS Bash and a shop feature on the team blog. You can find all the rules for entering this competition here. New members are welcome for both teams. I can personally voucher for how supportive and wonderful the people on both teams are. Both are great ways to promote your business and I will be writing a series on the Bellas BNS blog about how a BNS and BNR work and ways you can use them to promote your business. Also look for my new series on Love2Upcycle, the Upcyclers team blog, on demystifying t shirt yarn. 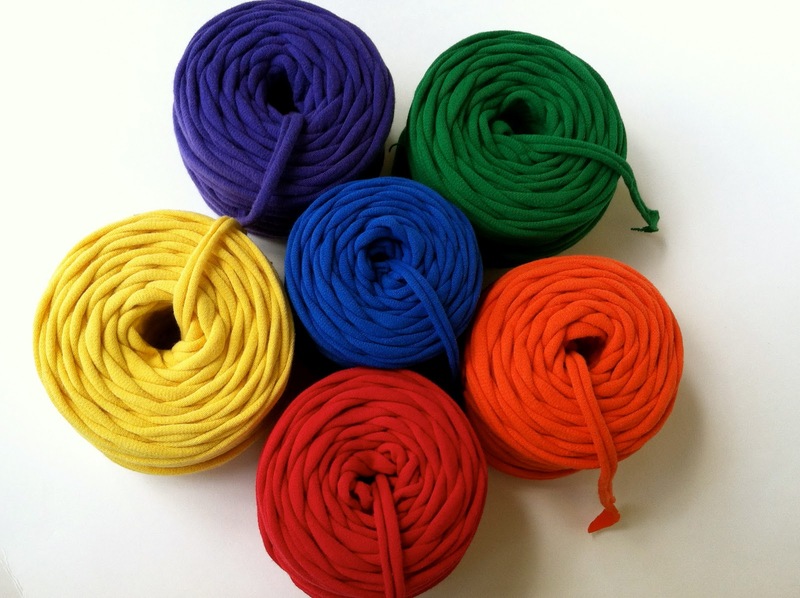 In June, we will focus on the basics of t shirt yarn and what you need to know before you purchase it and start working with it. In July, you will see some fabulous shop features of artisans that use t shirt yarn and all of the wonderful things they make, and then in August I will put up some tutorials so you can get started with some easy projects. I am very excited about both of these series and hope you will get a lot of useful information from them. That's all for now. Time to start getting orders ready for shipping.